My State Refund State Listing - Where’s My Alabama State Refund? Where’s My Alabama State Refund? Where’s My AL Refund? My Alabama Taxes (MAT) is the convenient and secure way to interact with the Alabama Department of Revenue to access a variety of online services. In MAT you can quickly and easily file tax returns, make payments, view letters, manage your accounts, and conduct other common transactions with the Department. This information is available from the Alabama Department of Revenue. My Alabama State Refund. Alabama Refund Search: click here. Track your Alabama State Refund: click here. 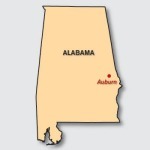 File your Alabama Individual Income Tax return for FREE. Click here to find out more. non-state administered local tax payments. The Office of State Treasurer receives a number of phone calls and e-mails about state-issued checks (also known as warrants), child support payments, tax refunds and other tax-related topics. However, the State Treasury does not handle these matters. Contact information is provided here to help you find the appropriate office so you can get answers to your questions in a timely manner. *Please note if you are requesting a copy of a warrant, call (334) 242-7156 or (334) 242-7510. This entry was posted in Alabama, State Refund Information and tagged 2014, 2015, Alabama State Refund, Track My Refund. Bookmark the permalink. Follow any comments here with the RSS feed for this post. Both comments and trackbacks are currently closed.